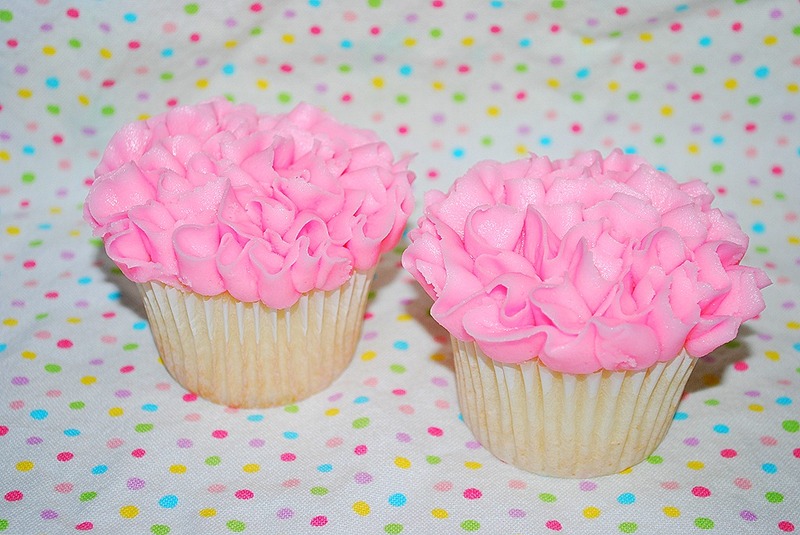 So love these cupcakes! 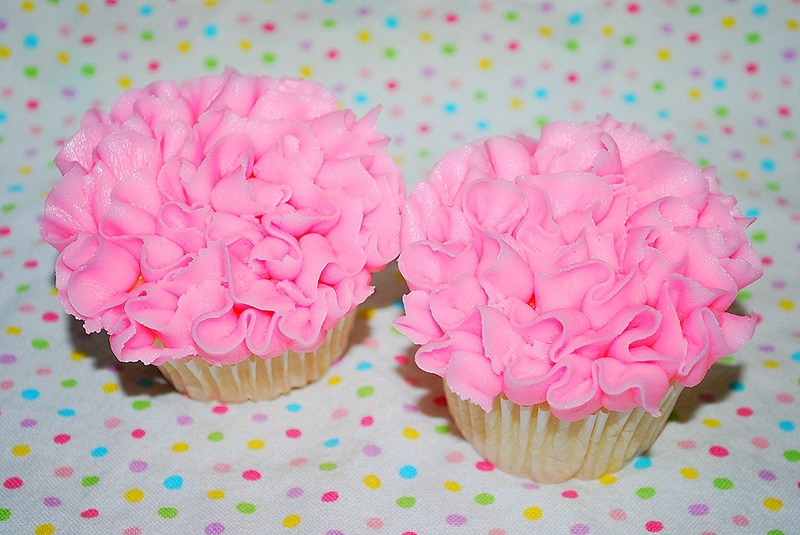 I was booked for a cake, but after a few changes, the order was changed to ruffle frosted cupcakes. I was sent a pic and I thought I could do them no problem. Once I got it, these were crazy easy, but it did take a few practice runs to figure it out!! I used a 104 tip and really just let the frosting do all the work. I had the big end of the tip down so that the more delicate end was standing up. With the smaller end up, the ruffles look more like ruffles and it just looks better. I will say that I did about 4 of these before I finally got it. I was trying to make it too perfect. When I just moved the cupcake around and let the frosting do all the work, they came out perfectly ruffled and just like I wanted them. 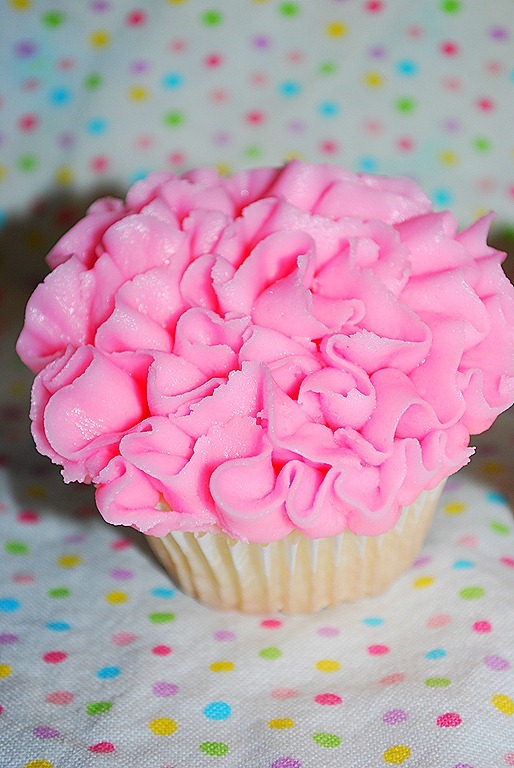 I had never done a frosting like this on a cupcake. Super happy with how they came out. They are adorable and simple yet different. I will definitely be doing these again. Enjoy! 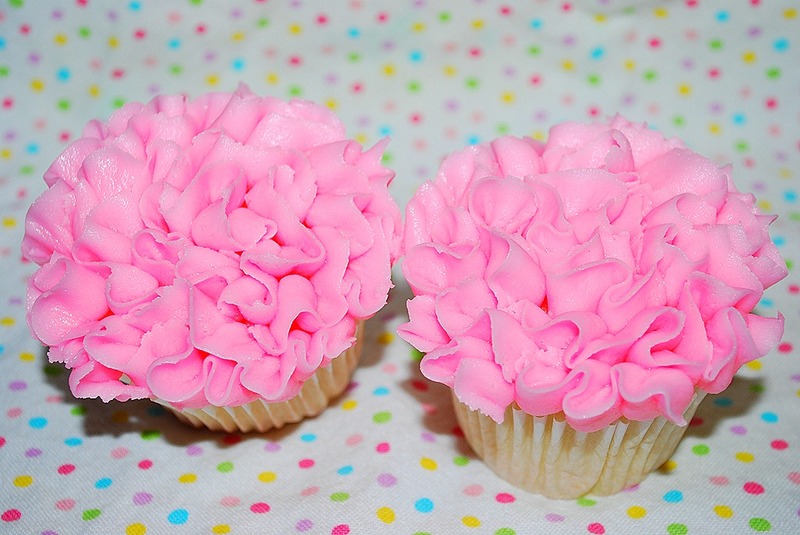 They are beautiful, perfect for a baby shower or girlie event.